Florida keys Aquarium Encounters and Two Conch Sport fishing has teamed up to offer an amazing giveaway! 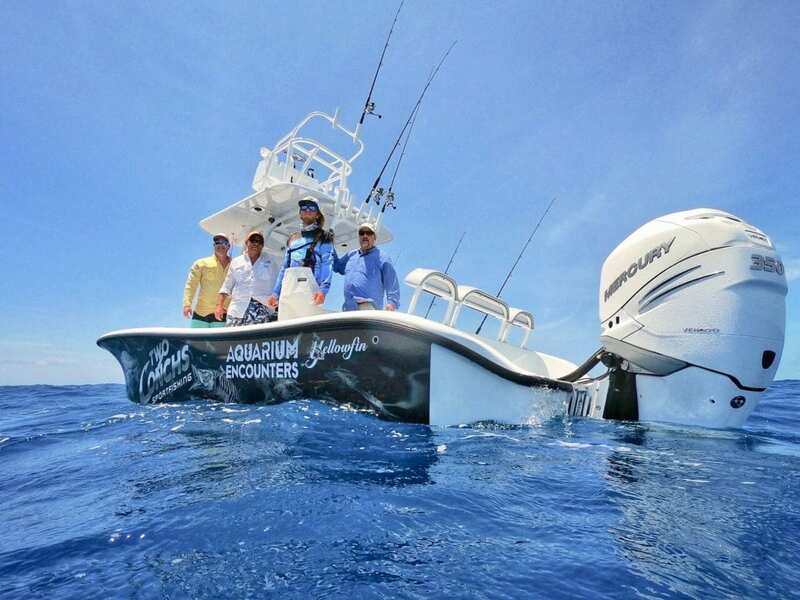 One lucky winner, and up to three of their friends, will have an adventure packed day; with a half day fishing charter on the 26” Yellowfin, and Coral Reef Dive encounter hand feeding sharks. Captain Jack and his crew will take you on a fishing trip you will never forget, don’t believe us? Their fishing show on the Sportsman channel shows just how epic their trips get, with big fish and big fun. After fishing with Two Conchs, the winner and their friends will get the opportunity to dive into our largest tank here at Aquarium Encounters. Swim with our tropical fish, hand feed our friendly rays, and hand feed sharks! Whether you are an experienced diver or are completely new to this unique underwater view point, our coral reef encounter is unforgettable. Being up close and interacting with marine life while diving is beautiful and with perfectly clear visibility in our tank you won’t miss a single fish. Interested in entering? Log on to Instagram and follow both @twoconchs and @flkeysaquariumencounters, like the giveaway post, and comment 3 friends you would bring with you on your adventure! The winner will be randomly selected and announced on March 1st! Not on Instagram? Don’t worry we will be having plenty of giveaways throughout the year for swag and encounters! To qualify to win entrants must have followed all guidelines to enter, this give away is in no way sponsored, endorsed or administered by, or associated with, Instagram. Must be at least 8 years old to dive, if younger than 8 snorkeling is an option.